What To Consider When Fixing Your Garage Door Opener? H5 Garage Doors in Torrenae cares about people’s knowledge regarding garage door openers. Therefore, we provide a complete guide that tackles the process of picking a garage door company and installation. Within this article, We are going to exposes garage door openers. By the time you have finished reading the article, we expect you to have a comprehensive idea of what the types of a garage door openers. At the very bottom you might find our contact info to reach us in case of any question. A garage door openers is a device that can offer great convenience and ease of access to your garage. You can more quickly open the door without the need to get out of the car when pulling out or returning home. These handy devices offer remote control assistance all from the comfort of your vehicle, until something goes wrong. Failure of your garage door openers can be a frustrating experience. There are several different reasons why it can stop working. Some causes are easy to fix yourself but others can be a bit more complicated. This guide is designed to help you to know how to troubleshoot garage door openers problems, direct you in making repairs, and let you know if the repairs can be done DIY, or if it’s time to call in a professional. When your garage door opener has gone on the fritz, there are a few things that you should do before you take action. It’s always a good idea to begin with the owner’s manual. This is generally supplied by the manufacturer and included in the package at the time of purchase. If you don’t have one, there is a good chance that you’ll be able to find information about the specific model you own online. Read through the manual thoroughly. It may contain useful troubleshooting tips to make the repair job go more smoothly. Be aware that electric garage door openers are powered by electricity and there is always the risk of electrical shock. If you are not comfortable with this, you may want to call for a professional to help. If you decide to proceed on your own, make sure that the unit is unplugged when you perform any inspections that could put you at risk. Before you start you will need to have a damp cloth, replacement batteries for the remote control that operates your garage door openers. After you’ve read throught the owner’s manual, you are ready to begin your investigation into the potential causes for your garage door opener’s malfunction. The first step in fixing your garage door opener is to find the cause of the problem. One of the simplest reasons is that it has come unplugged from its power source. Check to see if the unit has come unplugged. If it has, this is most likely the reason and plugging it in will usually fix the problem. If this is not the case, there are more things to check. Most owners do not realize that most garage door openers have a locking feature. This prevents it from being used to open and close the door. It is easy to accidentally engage this feature so it’s a good idea to consult with your owner’s manual for information on how to find out if this is the case and how to disengage it so you can begin using your garage door openers again. Sometimes the sensors that that are built into the unit become non-responsive. The fastest way to reset your garage door openers and to clear the sensors is to unplug the unit from its power source, then plug it back in. Another obvious reason that a garage door openers can stop working is weak or dead batteries in the remote control. Remove the old batteries and replace them with new, fully charged ones. If this does the trick, you’ve found the source of the issue and made the needed repairs. If it doesn’t, you’ll need to continue your troubleshooting investigation. Remote controls can become deprogrammed which renders them unusable until they are reset. Again, your owner’s manual will become a valuable resource. It contains information on how to reset your remote. Follow the steps for reprogramming to see if this solves the problem. If it doesn’t, there are still a few things left for you to do. The beam sensor is an important part of your garage door opener. They have been known to come unplugged from the units. This can cause a failure of the opener. If it is unplugged, you may have found the problem. Simply plug it back in. If the opener still doesn’t work, move on to the next step. The eyes of the beam sensor are responsible for sending the signal that turns on the motor of the device. If they become dusty, they can fail to work properly. Use the wet cloth that you have on standby and gently clean the eyes. They are usually found near the on and off switch. If this doesn’t fix the problem, proceed to the next step in troubleshooting. 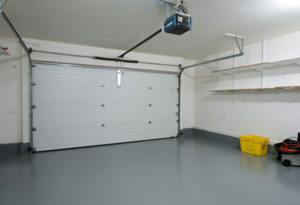 Chain driven garage door openers will not work properly if the chain becomes loose or damaged. Inspect the chain to see if you can identify any issues with this part of the system that could be responsible for causing the malfunction. If you find any issues that indicate the chain may need tightening or replacement, it is time to contact a professional for assistance. Repair of this component is not recommended for DIY because of the dangers and technical expertise that is required. You’ll need assistance for this step of the process. If the chain is in good working order, you’ve done all that you can do on your own to troubleshoot and make any possible quick fixes. The last step before you call for assistance is to make arrangements to manually open and close your garage door. Most of the newer garage door openers come equipped with a red cord that releases the door for manual control. If yours does not have this feature, consult with the owners manual about the process for releasing your door for manual operation. You’ll need to do this so you can open and close the door manually until you can get the unit repaired or replaced. After you’ve exhausted the list of possible reasons for garage door opener failures, there is no other option but to contact a repair specialist. In most cases, a technician from a reputable company will know how to quickly assess the problem and make recommendations for repair options or replacement of the unit. more complicated or involves working with electricity, that the risk of accidental injury goes up. Yes, it’s a good idea to check the basic and simple reasons but if your investigation doesn’t turn up fast and easy fix, it becomes more advantageous to have a professional take a look at the situation for your safety and to get right to the heart of the matter. When you’re deciding who to call for help, it’s a good idea to start with a company that has expertise and experience in working with garage door openers. You could call an electrician, but they may not work with units of this type specifically and it could end up costing you more for the time and effort they might need to spend identifying and repairing the cause of the problem. Ideally, the technician will have experience working with the brand and model of garage door opener that you have installed in your home. Look for a company that is fully licensed, bonded and insured. This can help to protect you as a consumer from any damages that can result when a technician begins work on an electrical device in your home. It is a safer bet to go with this type of repair service verses calling a friend or an electrician who does odd jobs on the side. You want to have the repairs done right by someone who truly knows what they are doing and has had several years of experience working with they type of garage door opener that is installed in your garage. The company should have a good reputation for customer service, reasonable or at least competitive rates, and be known for providing quality materials and workmanship. Visiting their website can usually give you an idea of the kind of services that they provide and also offer a testimonial section where you can find out what previous customers have the say about the services they received. This will give you an idea of what you can expect when dealing with them. Your investment in a garage door opener has no doubt added convenience to your life if you’re a homeowner. Once you become accustomed to using it, going without this service can seem like going back to the horse and buggy days. If you are a business owner, automatic garage door opener failures can interfere with the normal operations of your establishment. You need fast and reliable service to solve the problem so you can get back on track quickly. When time is not on your side, the best possible option is to contact a professional that offers a full range of installation and repair services that is available around the clock. Look for a company that is willing to arrive when and where they are needed the most. Why You Should Call 5H Garage Doors Inc.
Our company has the knowledge and experience to provide top notch services for our customers. We have been in business for over fifteen years. We install and repair all types of garage doors from a variety of manufacturers. We are fully licensed, bonded and insured. Our friendly staff and technicians are here to assist customers with full service for garage doors in Torrance. We’ve kept our rates affordable and the quality of our work high. We use top grade parts and materials to ensure that the work that we do will stand the test of time. There is no way to tell when issues may arise with a garage door in Torrance, so we are available 24 hours a day, 7 days a week for your convenience. 5H Garage Doors Inc sells, installs and repairs all kinds of garage doors so we are likely to have experience with the brand and model that you currently own. Whether you are a residential customer or a business owner, we offer both residential and commercial services with a team that is ready to travel and meet you at the place we are needed any time of the day or night. Contact us to find out how we can help solve problems with your garage door in Torrance. In order to serve our customers quickly and efficiently, we’ve made it easy to contact us around the clock. We know that many people have busy schedules, so we’ve included a variety of contact options. 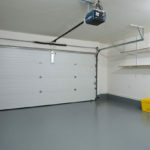 You can visit our website at www.http://fivehgaragedoors.com/. Here you’ll find more information about our services. You can also use our online calendar to schedule an appointment for a free no obligation estimate. We’ll follow up with a confirmation call to make sure that the time selected works the best with your schedule. Our team understands the need for fast turn around time and we will respond quickly to your messages or requests for services. Find out how we can make the difference by contacting us today.